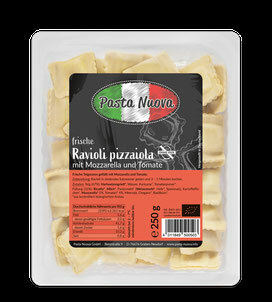 Originally, ravioli were invented in order to use up leftovers from the previous day. 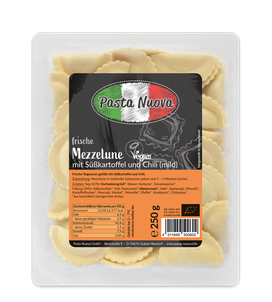 Of course, we do not use any leftovers, but rather fill our ravioli with a spicy mixture of tomatoes, mozzarella, oregano and basil. 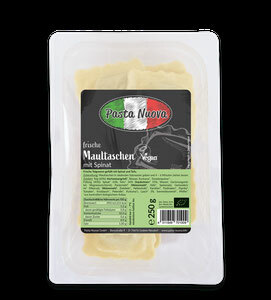 Large ravioli, or „Maultaschen“, are the Swabian version of ravioli. Traditionally they are filled with meat, but we offer the vegan version with a delicious filling of spinach and leek.